In September 1932, Philip Cummings traveled from Vermont to northwest Wyoming to begin a new teaching assignment. He had completed his MA in Spanish Studies at Middlebury College the previous May, and was hired almost immediately to teach German, French, and Spanish at the Valley Ranch School for Boys, an exclusive college preparatory school in a remote mountain valley on the South Fork of the Shoshone River, 45 miles southwest of Cody. 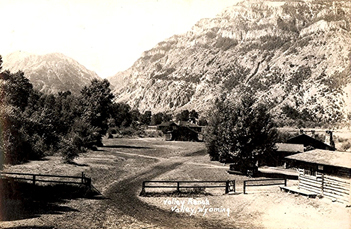 Valley Ranch was a well-known summer retreat for wealthy Easterners, one of several ranches in the Cody area that provided paying guests (called "dudes") with good food and comfortable housing, along with trail rides, rodeo shows, and other typical Western activities. From its initial launch in 1915, the summer dude operation at Valley Ranch remained a successful business for over 50 years. The Valley Ranch School had a much shorter life span. In 1922, ranch owners Irving H. "Larry" Larom and Winthrop H. Brooks (of Brooks Brothers fame) realized that the same cabins, dining halls, and common rooms used by summer guests could easily accommodate a winter boarding school. 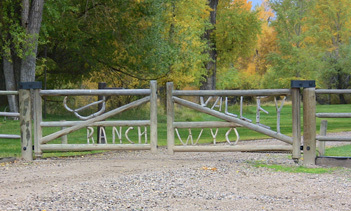 Eager to gain year-round income from their property, they upgraded the facilities for winter, hired faculty, and opened the Valley Ranch School for Boys. Larom used his extensive Social Register connections, ads in upscale magazines, and carefully targeted mailings to promote the school's unusual mix of traditional prep-school academics with vigorous outdoor activity on a real working ranch. He found a ready audience among well-to-do Eastern families, who began sending their sons to his school in large enough numbers to make it a profitable venture. 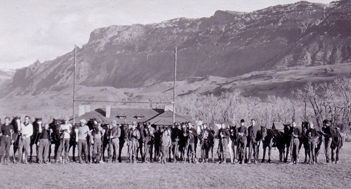 By the time Cummings was hired in 1932, the Valley Ranch School was a well-established member of the select group of "Western ranch schools" included in Porter Sargent's annual directory of American private schools. Teaching jobs were hard to come by in those days, and Cummings was delighted when he was hired to teach at the Valley Ranch School. The position offered a decent salary, room, and board, as well as the prestige of preparing the sons of the Eastern elite to enter college. Perhaps most appealing of all, it offered a host of new adventures in a part of the world Cummings had never seen. Before he left for Wyoming, Cummings promised his mother and aunt that he would document everything that happened during the coming school year in a daily journal. He began his journal when he arrived at Valley on September 26, 1932, and typed a new entry every night for the next nine months. By the end of June 1933, he had produced over 400 single-spaced pages, full of detailed observations of the fascinating natural and human world in which he found himself. Cummings's journal provides a unique first-person account of daily life at the ranch and in Cody during the depths of the Depression. It reflects his lively interest in the people and places around him, as well as his thoughts on the books, music, and politics of that eventful era. His writing is poetic and insightful, and though it was surely not his intention, it reveals much about Cummings himself as a young man. Cummings wrote his last journal entry on June 19, 1933, as he prepared to head home to Vermont for the summer. He returned to Valley that fall and taught there for one more year, but with the economy still in decline, too few parents could continue to afford the high cost of travel and tuition. 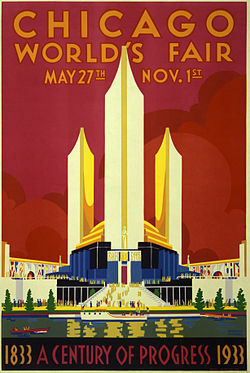 After twelve years of operation, Larom reluctantly closed the school for good in June 1934, leaving Cummings and his fellow teachers in search of new employment. Patricia A. Billingsley (ed. ), "Capital City Sojourn: The Pierre Journal of Philip H. Cummings, December 1932 to January 1933," South Dakota History, 39 (2), Summer 2009, 95-165. The author's research on Cummings's Valley Ranch journal was supported in part by a resident fellowship from the Cody Institute for Western American Studies, Buffalo Bill Historical Center, Cody, WY. It is sometimes hard to feel the old and real West. It is true that the movies and the novels are vastly over-painted. One does find the more expected tastes of the West where there are dude ranches which cater to Eastern guests. They try to present a few of the things which the East expects of the West, even when the natives would normally have no such customs or costumes. For a full history of Valley Ranch, see: W. Hudson Kensel, Dude Ranching in Yellowstone Country: Larry Larom and Valley Ranch, 1915-1969 (Norman, OK: The Arthur H. Clark Company, 2010).